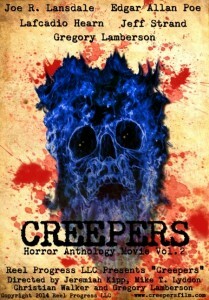 Reel Progress LLC is pleased to announce that the feature length horror film Creepers aka Horror Anthology Movie Vol. 2 is in pre-production. Shooting begins in March, 2014. Featuring two stories from contemporary horror writers Joe R. Lansdale and Jeff Strand and two classic tales of terror from Lafcadio Hearn and Edgar Allan Poe, Creepers celebrates the weird written word adapted from scribe to screen. The directors include author and filmmaker Gregory Lamberson, Jeremiah Kipp, Christian Walker and Mike T. Lyddon. Production will wrap in July with a release anticipated for October, 2014. Visit the official Creepers website for more information. 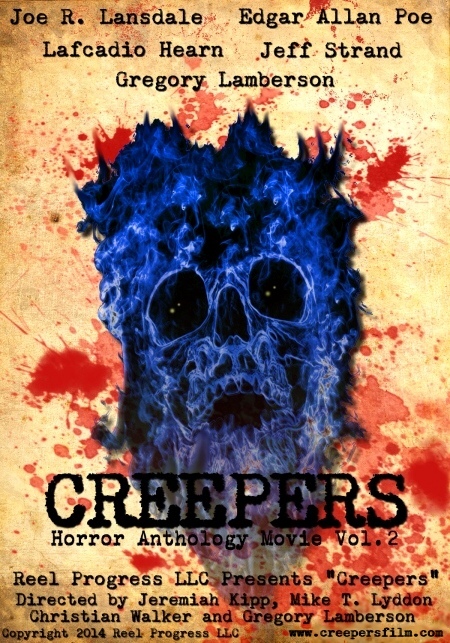 This entry was posted in horror anthologies, horror comedy, horror dramas, indy horror and tagged Creepers, Creepers Horror Anthology, Creepers movie, horror anthology movie volume 2. Bookmark the permalink.